A consortium led by Fairfax Financial Holdings Limited has offered to buy Waterloo-based BlackBerry. A letter of intent released this afternoon confirms the offer is for US$9 cash per share, which values the transaction at approximately $4.7 billion. 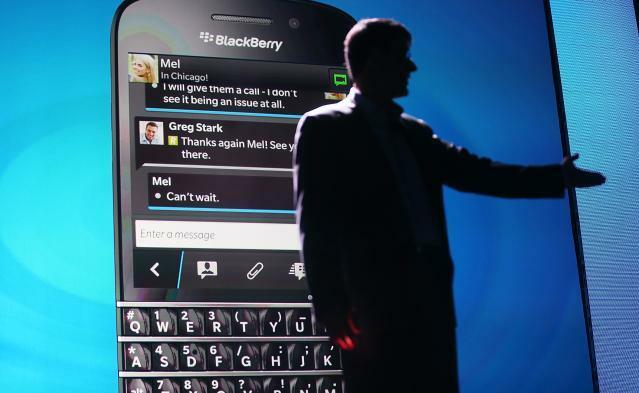 The deal is pending completion of due diligence, and it gives BlackBerry six weeks to seek additional offers. The beleaguered handset vendor announced Friday that it would be laying off 4,500 employees amid losses in the most recent quarter of almost $1 billion. The company has been under growing pressure this year as sales of its BlackBerry 10-based products, launched to much fanfare in January, failed to reignite consumer demand for the onetime-leader in the smartphone market. BlackBerry announced last month that it had formed a special committee to investigate the company's strategic options, potentially including selling all or part of the company, or taking it private. Fairfax Financial currently owns approximately 10 per cent of BlackBerry's outstanding shares, and is the company's largest shareholder. Fairfax chairman Prem Watsa had been a member of BlackBerry's board, but stepped down last month when the strategic review process was first launched to avoid a potential conflict. Observers at the time saw Watsa's move as a precursor to a possible Fairfax offer - which today's deal confirms.